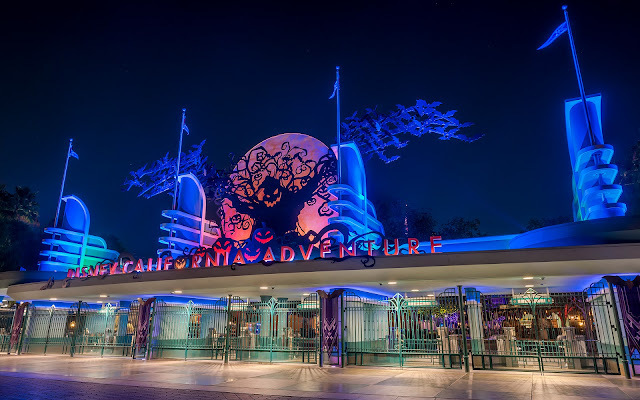 For the second year in a row, Oogie Boogie has taken over Buena Vista Street in Disney California Adventure, and it shows plainly and clearly at the entrance, where guests can see his silhouette dramatically outstretched over an autumn harvest moon. It's a bit over the top (literally? ), but I like the imposing effect, even if it doesn't really fit the 1920s art deco theme of the area. Hey, what can I say? I have a fondess for Halloween and spooky things, and this certainly qualifies! 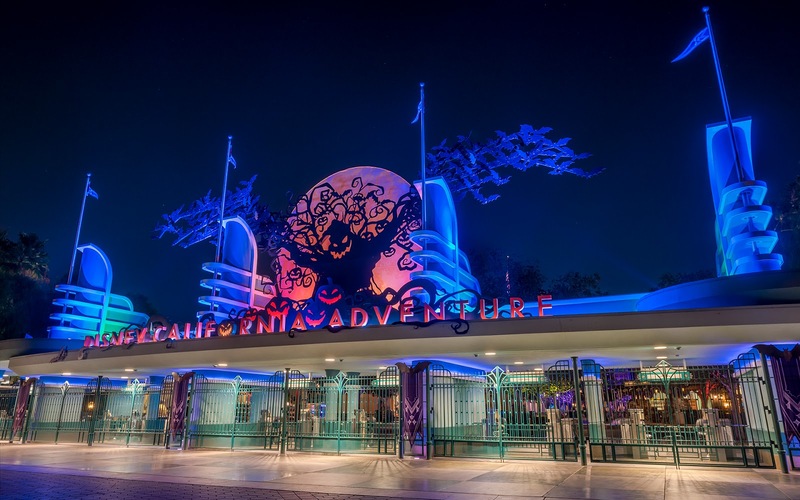 Oogie Boogie towers over the DCA entrance during Halloween Time.